The beauty brand closed many of its Hong Kong branches yesterday as protestors made their anger known following the cancellation of a concert featuring a pro-democracy singer. The aftermath continues over Lancôme’s decision to abandon a concert in Hong Kong because of criticism from China. The beauty brand shut its main shops on the island state yesterday as dozens of consumers rallied to boycott the company and its parent L’Oreal. Protestors, carrying yellow umbrellas to symbolise Hong Kong’s democracy movement, had placards slamming Lancôme and cut outs of Denise Ho, the outspoken pro-democracy singer who was due to perform at the Lancôme concert, only for it to be cancelled. Posters reading "no to self-censorship" and rejecting Lancôme’s perceived kowtow to Beijing were plastered across the closed Lancôme counter at the Times Square store in Causeway Bay. L’Oreal’s offices were also closed yesterday. According to local media reports, staff were circulated a memo on Tuesday telling them not to come in on Wednesday. Lancôme has not yet commented on the closures or the protests. Politicians have also now entered the fray, voicing their opposition to Lancôme’s actions. Suzanne Wu, chairman of the Labour Party and one of the protest organisers, told reporters: "We support her (Ho) because we shall not give in under the pressure of the Communist Party." 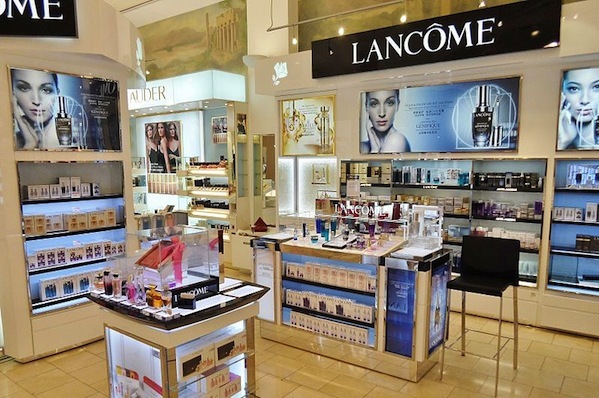 A online petition calling for the boycott of Lancôme products has reached more than 4,500 signatures so far. Perhaps most extraordinary is the video released by district counselor Christine Fong of her flushing her Lancôme products down the toilet. Anne Geronimi, vice president at Ruder Finn in Hong Kong, says these sorts of incidents linked to national pride are becoming more frequent in both mainland China and Hong Kong, both in the mainstream press and on social media. "Due diligence on any celebrity engagement is a must. The ‘China impact’ of any global celebrity engagement should be thoroughly assessed," Geronimi told PRWeek Asia. She added that Lancôme’s response to the crisis should not have been handled as a one market approach. "In this case, from an outsider perspective, the response looked like it was more concerned with the mainland reaction, without taking into consideration the Hong Kong audience," Geronimi said.